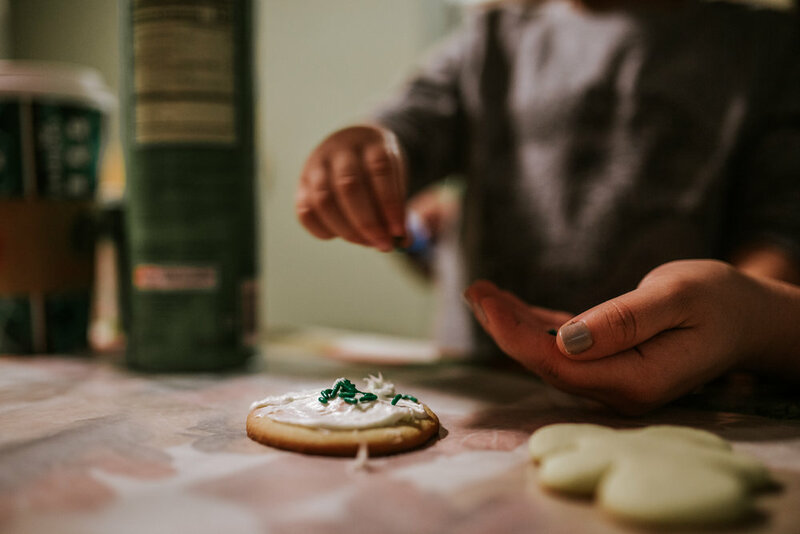 When we were growing up as kids, we always went over to my grandma’s house to make holiday cookies with the entire family. It was always a great time and all of the kids loved it. 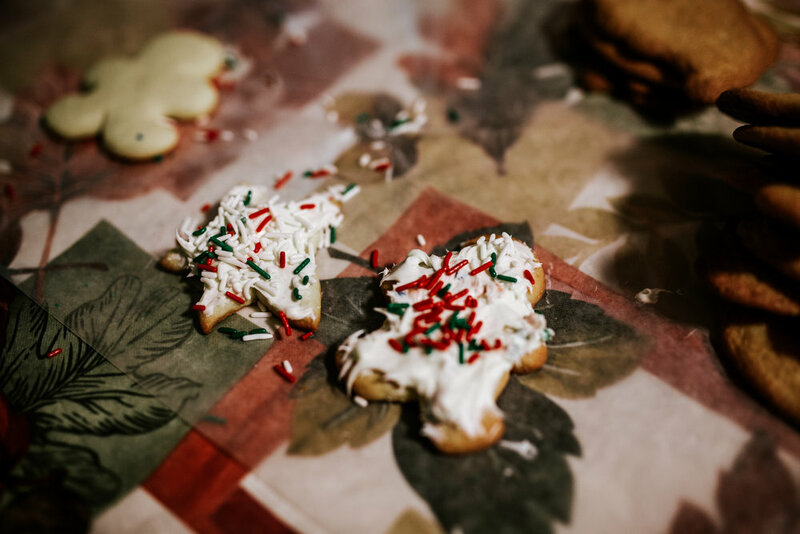 When I moved to North Carolina, I never made it back to be able to decorate cookies with my family, and then when we moved back my great-grandparents started having health issues to where my grandma sold her house so she could help out with them more. No one else ended up taking over the fun. So, when we decided to move out of state this year, I decided that we would have to host cookie decorating at least one time so AJ could take part with everyone. He loved it, and it was so great to be able to relive our childhood again.